Dr. Levine graduated from Stoughton High School and attended the University of Massachusetts at Amherst. In 1992, he received his Bachelor of Science degree in Zoology. He then received his Doctor of Optometry degree in 1997 from the New England College of Optometry where he graduated with honors as a four-year member of the Beta Sigma Kappa International Optometric Honor Society. He was awarded the 1997 New England College of Optometry Award for Overall Clinical Excellence and the 1997 Bernell Award for Clinical Excellence in Pediatric Optometry. Dr. Levine completed a one year residency in Primary Care Optometry at the South Boston Community Health Center in conjunction with the Boston Medical Center. Additionally, he completed internships at the FDR VA Hospital in Montrose, NY, Dorchester House Clinic, South Boston Community Health Center, and New England Eye Institute’s Pediatric and Binocular Vision Specialty Clinic. Dr. Levine has a special interest in Orthokeratology (OrthoK). OrthoK is the science of reshaping the cornea of the eye without surgery to improve vision and virtually eliminate the need for day-time contact lenses and glasses. He is CRT (Corneal Refractive Therapy) and VST (Vision Shaping Treatment) certified. He is also a Certified Wave Designer. Wave lenses are custom made to fit your eyes perfectly. In fact, no 2 lenses are alike. Wave designs can be made spherical, toric, multifocal and for customized Orthokeratology. Dr. Levine is the only Certified Wave Designer in MetroWest. He actively practices Myopia Control and specializes in difficult-to-fit contact lenses including Scleral and Gas permeable. 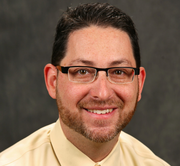 Dr. Levine is a Fellow of the International Academy of Orthokeratology and Myopia Control (IAOMC). He is President of the Board of Directors of the American Academy of Orthokeratology and Myopia Control, the US affiliate of the IAOMC. He is also a Fellow of the American Academy of Optometry (AAO), a member of the Massachusetts Society of Optometrists, the American Optometric Association, and Beta Sigma Kappa International Optometric Honor Society. Dr. Levine is a big sports fan (provided the teams are from New England). He also dedicates his free time to his family and enjoys a good sushi meal as much as the next guy. He enjoys golf and playing guitar. A Massachusetts native, he resides in Franklin with his wife Hilary, son Micah, daughter Shea and Cavalier King Charles Spaniel Rusty.